Body – The body consists of inner and outer plates enclosing a seamless casting of Chubbsafes Centrix I specially formulated barrier material, solidly forming a monolithic structure that is consistent in strength. Its overall thickness of 90mm provides a formidable barrier to potential attacks in addition to its fire resisting properties. Fire Resistance – Tested in accordance to Section 8.5 of the Japanese Industrial Standard JIS S1037-1981 for a 60 minutes fire rating. 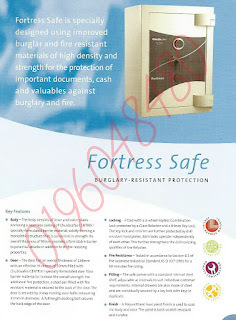 Chubbsafes Graded safes offer burglary protection in different levels, from Grade 1 to Grade VI. 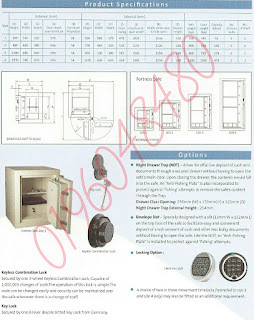 They are available in different designs / models, sizes and with an extensive range of internal fittings. 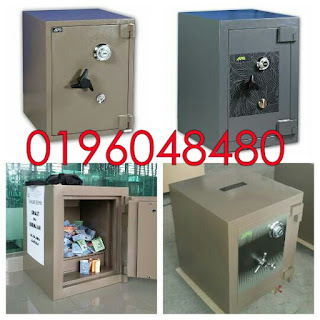 This is why you can be sure to find a Chubbsafes that fits your needs. If you are looking for a combined protection, have a look at DuoGuard and Fire range with its combined burglary and fire protection and Trident with its unique combination of burglary, fire and explosives protection.